giving it a much-needed foothold in the anti-TRS parts of Telangana. Hyderabad: Party-hopping politicians in Telangana have left voters confused — should they vote for the candidate or the party he/she represents? Several politicians, including sitting MLAs, have switched sides since Chief Minister K. Chandrashekar Rao’s cabinet recommended the dissolution of the state assembly and called for early elections. 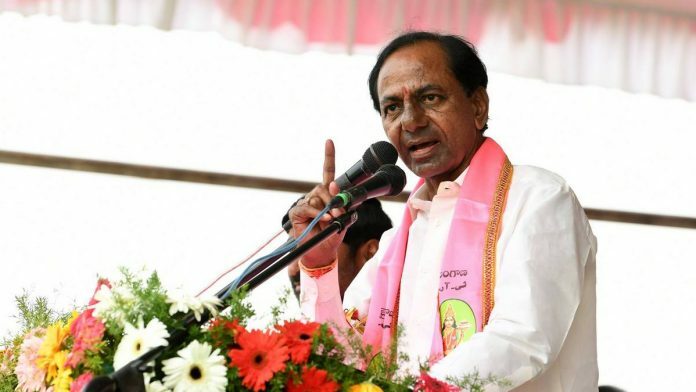 KCR’s Telangana Rashtra Samithi (TRS) also seems to be the biggest gainer in these musical chairs in India’s youngest state, as a majority of those who have turned away from the opposition Telugu Desam Party (TDP) are now contesting as TRS candidates. Political analyst Telakapalli Ravi pointed out that defections are nothing new — that soon after the bifurcation, both Telangana and Andhra Pradesh saw unprecedented defections. “The temptation of money and power are the main cause for such defections. KCR won by a very fine margin and wanted to strengthen his government by buying MLAs. Chandrababu Naidu too used this tactic in Andhra Pradesh, where he wooed YSR Congress MLAs to his side,” Ravi said. A prime example at the time was TDP founder and former CM N.T. Rama Rao’s daughter D. Purandeswari, who shifted from the Congress to the BJP as she was upset that the bifurcation had given a raw deal to modern-day Andhra Pradesh. Close on her heels was Telugu superstar and former MP from Medak, Vijaya Shanthi, who moved from the TRS to the Congress, which she claimed was because the latter delivered on its promise to grant statehood to Telangana. Senior BJP leader K. Sathyanarayana Rao also shifted to the TRS two days after the government was formed. This time around, 12 of the 15 TDP MLAs in the outgoing assembly have joined the TRS, giving a major jolt to TDP supremo Chandrababu Naidu. The legislators in question hail from the anti-TRS belt, and have given the ‘pink party’ a much-needed foothold in the region dominated by the TDP. Just like the TDP, the Congress has also faced a series of jolts. The most recent one was when sitting MLA from Dornakal, D. Redya Naik, decided to contest on the TRS symbol just a few days before the polls. A month ago, another senior Congress leader, Abid Rasool Khan, joined the TRS after being sidelined by the national party while distributing tickets. Denial of tickets has always been a big factor for defections, but Telangana has seen way too many in its short existence. Sapan Dev, who was given a TDP ticket in 2009 (in undivided Andhra Pradesh) and 2014 (in Telangana), lost both elections, swiftly moved to the TRS in 2014, and rose to become the party’s state secretary. However, after being denied a ticket in these elections, he has now joined the Congress, hoping to do better than his previous stints. Padmini Reddy, wife of senior Telangana Congress leader and former Andhra Pradesh deputy CM C. Damodar Rajanarasimha, created quite a stir after she shifted from the Congress to the BJP and back in a matter of 10 hours. Her move embarrassed both the Congress and the BJP, though she claimed that it was the Congress’ on-ground workers who forced her to return. Analyst Ravi said that what one is seeing in Telangana is a dichotomy. “On one hand, people are disillusioned by their MLAs but they want KCR as the chief minister. So, they are forced to vote accordingly,” he said. Shekhar Rao, who works in the IT industry in Cyberabad, will be travelling to his village in Paladugu in Khammam to vote. He said: “With so many MLAs jumping ship, it will give independent candidates a chance. But the reverse is also true in some cases, like the Kukatpally seat in Hyderabad. M. Krishna Rao fought the 2014 elections for the TDP and defeated his TRS opponent by a big margin of 43,186 votes, but now, he is seeking votes for the TRS. Voter Ajit Kumar said Krishna Rao “is a good MLA, but I do not like the way the TRS is functioning. In my mind, it’s a tough fight whom to vote for”.